A christmas sticker of a happy picture of Santa Claus. Let the Christmas magic take over your home! Place this decal on your glass surface then spray on it and remove the sticker to obtain a snowy effect. 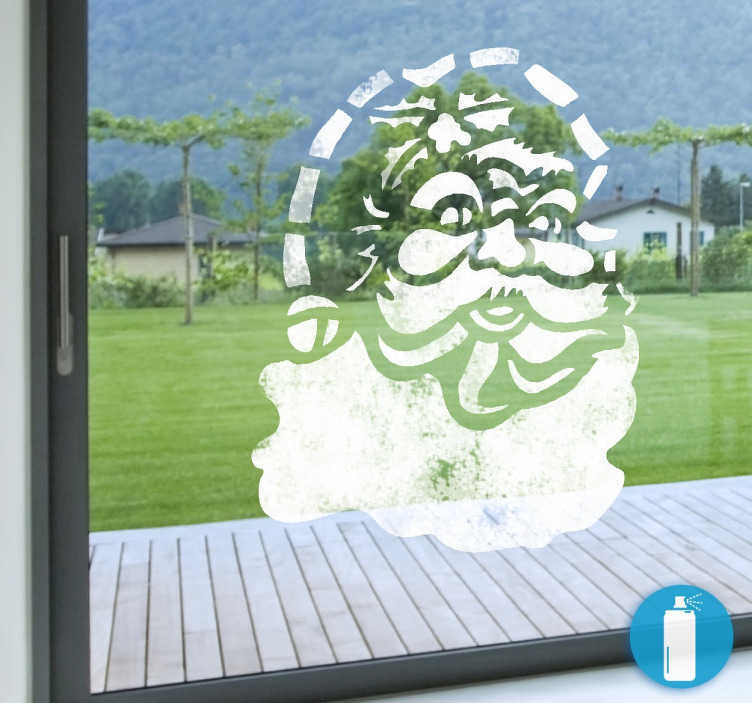 Celebrate the holidays in style decorating the windows of your home with this decorative decal. This original sticker is perfect for your home and to create a great atmosphere during this festive season.